Stress is part of everyone’s life, but if you don’t learn to find some balance, serious health consequences could be waiting! This 90 minute training includes education, self-evaluation, and interactive exercises. We will cover exactly what effects chronic stress can have on your health. Evaluation tools will be provided to help you identify your specific stressors and how well you are managing them. Healthy stress management ideas will be discussed and several techniques will be practiced. By the end of this training, you will be armed with the knowledge and tools to help you achieve a life well balanced. Michelle has been a trainer, coach, and facilitator for over 20 years. While still maintaining long-standing private clients, Michelle has recently focused her efforts on corporate wellness training, weekend wellness workshops, and an incredible wellness retreat on the Island of Kauai, HI. She seeks to inform, influence, and inspire all who wish to become a better being. Michelle’s background has enabled her to deliver on a wide variety of topics, including: exercise, nutrition, weight loss, stress management, sleep, preventing and managing chronic disease, work-life balance—and many more. She was the facilitator for the Denver chapter of the American Heart Association’s Go Red for a BetterU program in 2012 and 2013, which enabled her to guide women toward lasting changes that will positively impact their health. She currently volunteers for the American Heart Association, in a variety of ways to promote wellness within her community. Her You Revolution program, a 10-week Lifestyle Change training, has been well received by a diverse group of participants, including approximately 300 faculty and staff from Denver Public Schools. When her passion for motivating and inspiring people to take charge of their health, collides with the opportunity to deliver in a group setting, the result is a positive transfer of knowledge and energy. 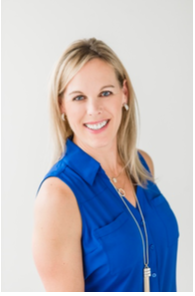 Michelle has a Master of Science in Kinesiology from the University of Colorado- Boulder, as well as a bachelor’s degree from The University of Hawaii, with a major in Psychology. In 1997 she first earned her Personal Trainer Certification from the American Council on Exercise and has spent the last 20+ years continuing to learn in all areas of fitness, nutrition, and overall well-being.